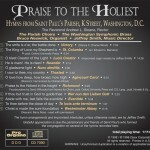 The choirs of Saint Paul’s Parish, K Street, Washington, D.C., under the direction of Dr. Jeffrey Smith, with Bruce Neswick, organist, Rev. 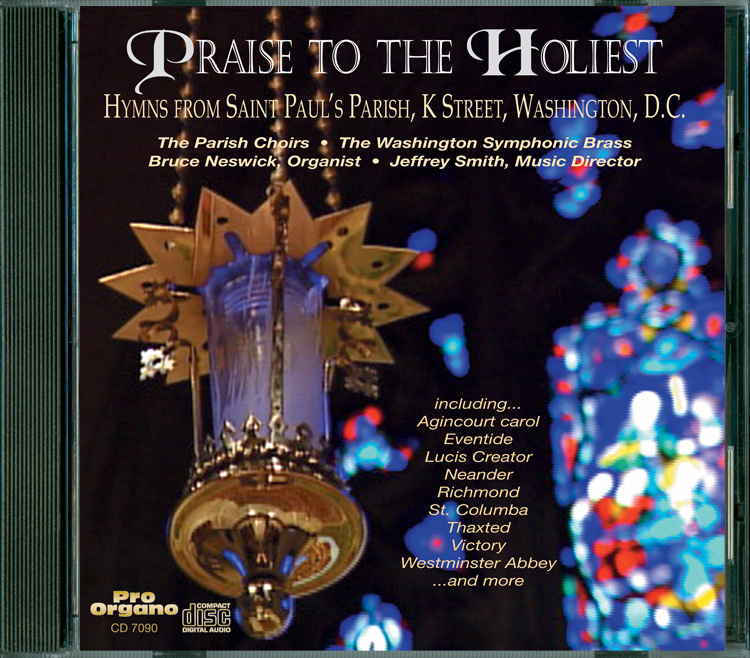 Andrew L. Sloane, pastor, and The Washington Symphonic Brass and congregation, present creative, often festive arrangements of 12 hymns from the Anglican tradition. 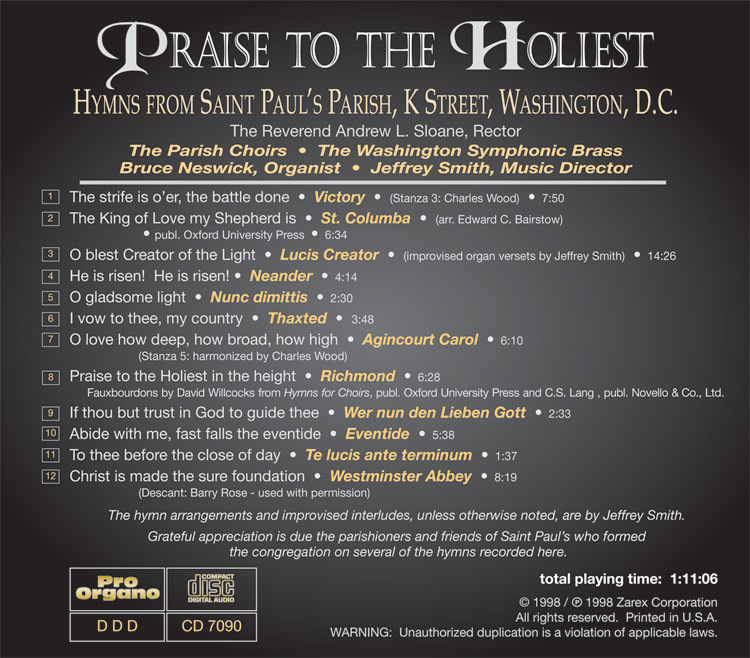 Included in select hymns are several organ improvisations from Jeffrey Smith, between stanzas.